View, Burning ground, starting fire. Oblique aerial view centred on the northern section of the explosives factory, taken from the SE. 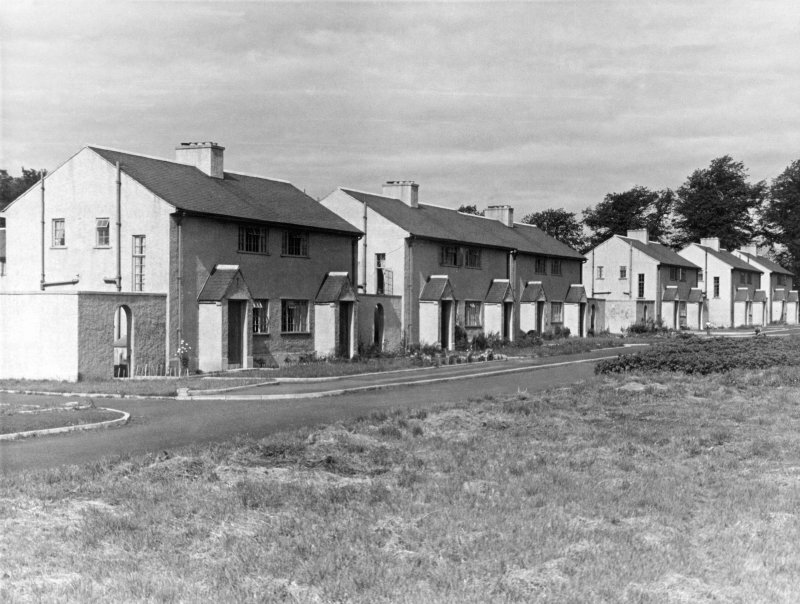 View from SE of newly built Holm Park houses. Built for personnel at the Royal Ordnance Factory. Oblique aerial view centred on the water supply ponds of the explosives factory, taken from the W.
View, Burning ground, waste explosive burning. 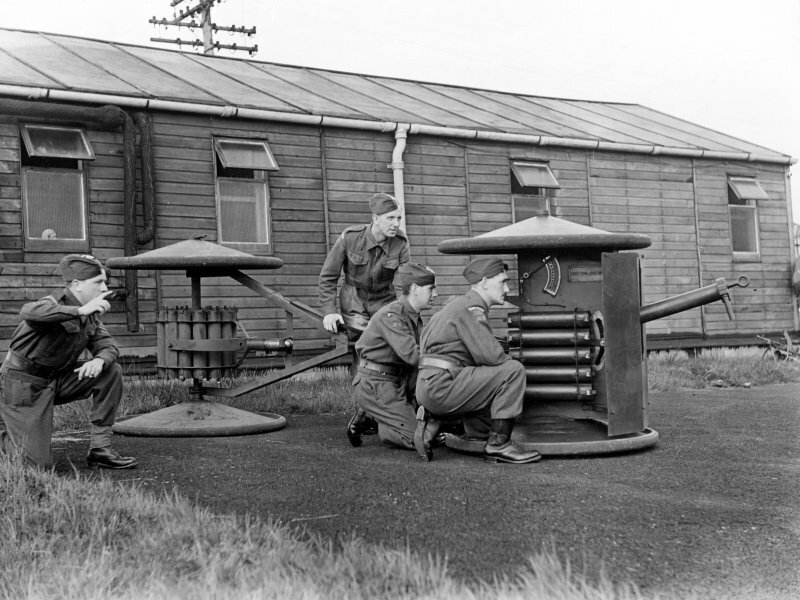 View - detail of Home Guard unit at Gun Drill showing Smith gun with limber and ready use ammunition. 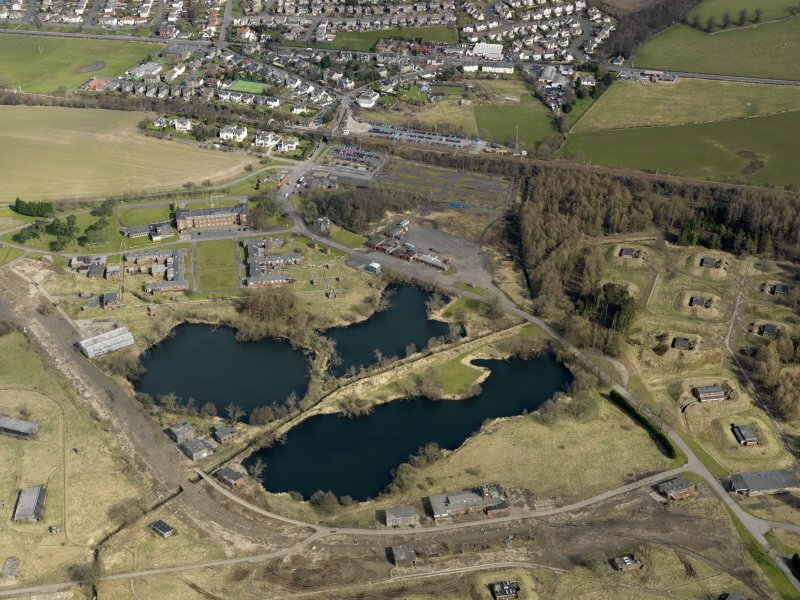 Oblique aerial view centred on the central section of the explosives factory, taken from the E.
This site is still owned and used by the Ministry of Defence. 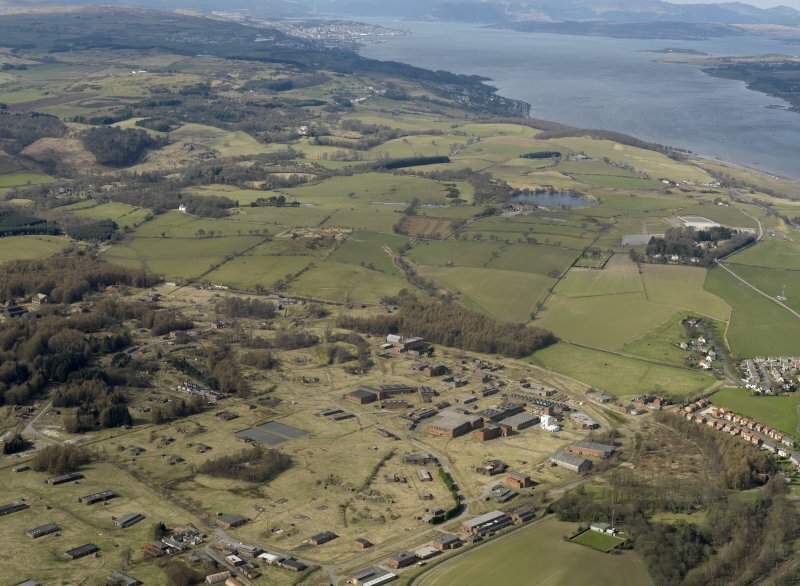 Situated 12 miles W of Glasgow close to the village of Bishopton is the explosives site at Bishopton, the Royal Ordnance's primary manufacture of propellants for gun and rocket systems. The site occupies a total of about 940 hectares (2350 acres), of which 890 hectares are within the factory fence. Within this area are some 20 hectres of covered floor space, much of which was derelict (1996) Plans in 1996 included a restructuring plan to reduce much of the operational area of the site and reduce still further the occupied buildings to 112. 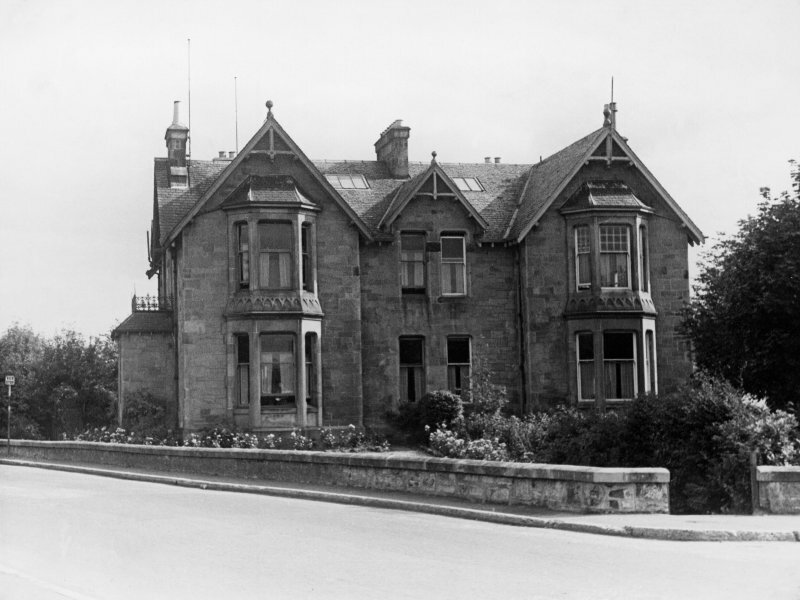 Nearly 75% of the buildings date to the 1939-1945 war, with many of the redundant buildings from this period being contaminated with explosives. There is also office accommodation in a three storey building with several other smaller buildings. One, Dargavel House (NS46SW 20 ), is listed. 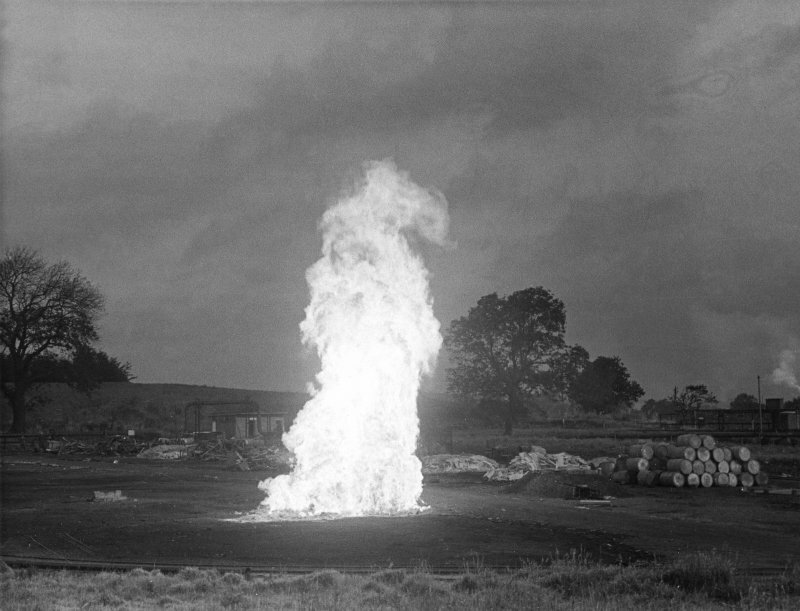 Also produced at this site were combustable cartridge cases and explosive ingrediants for the end products. 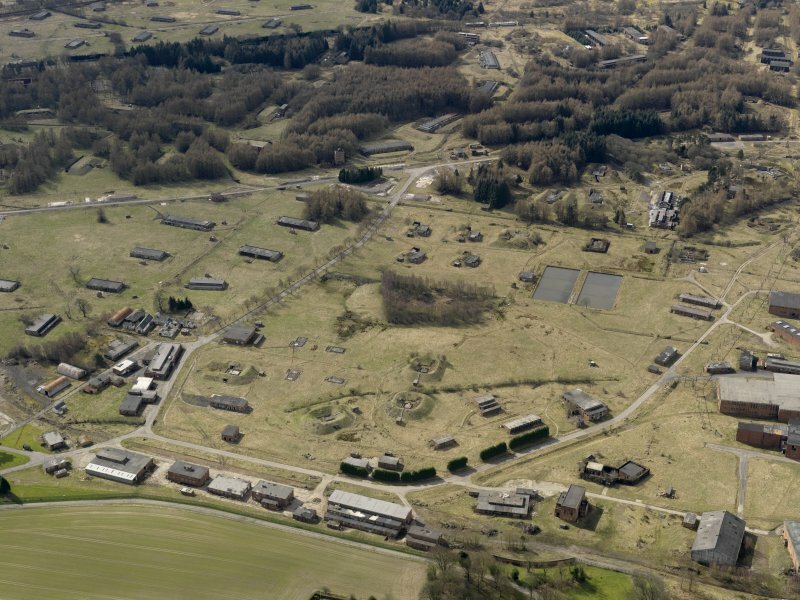 The site is the largest in area within the Royal Ordnance incorporating farmland, forestry and some recreational land. A rapid photographic survey of some of the surviving buildings within the Bishopton ROF factory was undertaken in October 2009. The survey concentrated on Factory 1 buildings along with some from Factory 2 and the general factory areas. 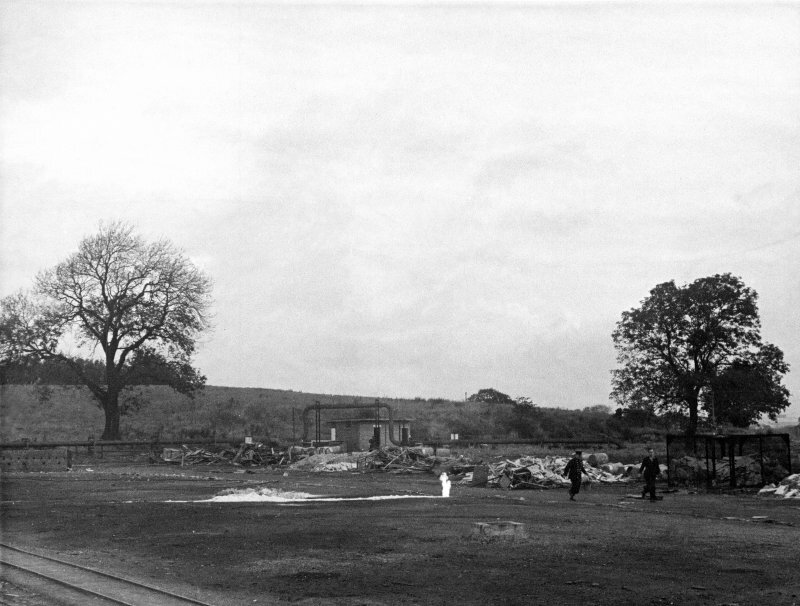 As well as the above selected buildings from other parts of the site, notably the Rocket Propellant and General buildings were photographed. The factory was one of three Propellant factories built in 1938-39, the others being at ROF Wrexham and ROF Ranskill. Many buildings are now derelict and in some cases a dangerous condition. Tetryl, RDX, TNT and Nitro were added later. 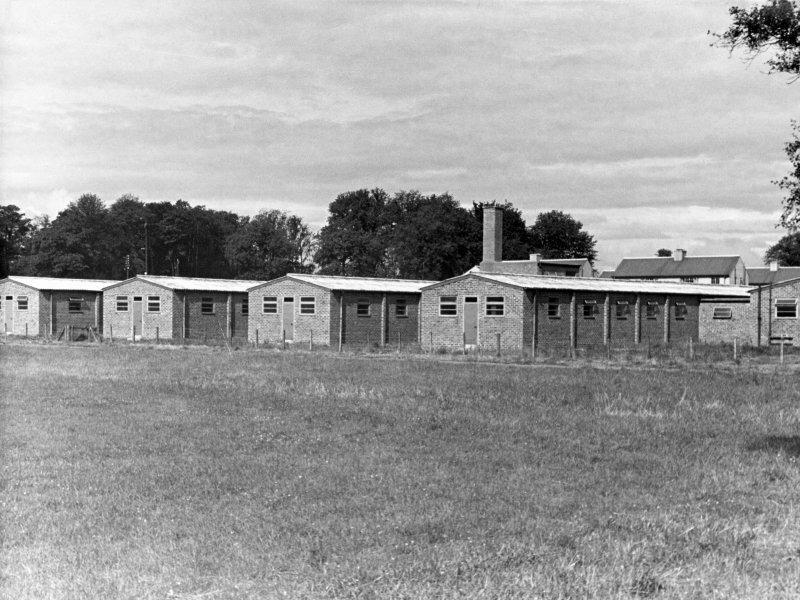 Three factories were built mainly to provide duplication cover should any of the production units be damaged by enemy action. Much of Factory 3 has now been demolished. There are now proposals to re-develop the site.